Who is Mike Connell, and why does it matter? Mike Connell was an IT guru who owned and managed servers that allowed the Republicans to manipulate Ohio voter totals and hide emails. Totals from Ohio did not go directly to the Ohio Secretary of State's office, for instance. They first took a loop to Chattanooga, TN through one of Connell's servers. If anyone knew the truth of what happened during the theft of the election from John Kerry in 2004, it would have been Mike Connell. 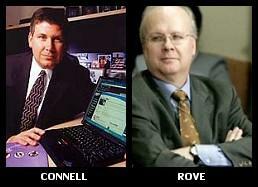 If anyone knew that Karl Rove was intrinsically involved in the theft of the 2000 and 2004 elections, it was Mike Connell. So Who is Mike Connell? New information concerning Republican high-tech guru Mike Connell's alleged participation in computer-aided fraud from Florida to Ohio to the Swiftboaters to RNC headquarters to Congress has helped lead Ohio attorney Cliff Arnebeck to reignite a long-standing federal lawsuit concerning Ohio's 2004 Presidential Election. Connell may have been threatened by Karl Rove should the GOP's "high IQ Forrest Gump" - so described for his uncanny ability to be found "at the scene of every [GOP] crime" - fail to "take the fall" for election fraud in Ohio. This according to a letter sent by Arnebeck to AG Michael Mukasey asking for Connell's protection. On December 19, 2008 Mike Connell's small plane crashed just three miles short of its destination of Akron, Ohio. The weather was not foul enough to cause such an accident, nor were there any communications from the plane's occupants prior to the crash. Speculation that the plane ran out of gas was countered by the fact that the crashed plane was in flames for some time. What was fueling the fire? Ohio TV Station: Was Connell Crash an Accident or Murder? The death of Republican "IT guru" Mike Connell last in a fiery plane crash has been the subject of intense speculation online about whether it might have been murder. Connell had played a central role in two separate Bush administration scandals. He had created the website for the Ohio secretary of state's office which some have linked to suspected election fraud during the 2004 presidential race. He also set up the domains which White House staff used for their off-the-books emails concerning the firing of US Attorneys, emails which are now said to have been destroyed. Connell had previously been warned by a friend that his plane might be sabotaged and had canceled two flights because of suspicious problems. The Zetas confirm that Mike Connell's death was a deliberate assassination, and that Karl Rove is hardly innocent in the matter. ZetaTalk Confirmation 12/20/2008: This was without doubt an assassination. The servers this man managed were at the heart of the Ohio voter fraud, and he himself was personally aware of those issuing the orders. He was on the cusp of cooperating with the investigation, and suddenly his small plane runs out of gas just short of the runway. This was arranged. Now that the Bush administration has been chased out of the Oval Office, will such timely deaths of those "in the know" cease? Will the crimes of the Bush/Cheney cabal slip from the spotlight and be forgotten? Per the Zetas, those in the know, who participated in the crimes, are highly vulnerable. An example is the mysterious death of a CIA operative in Houston, TX last May. People who know too much are simply eliminated. ZetaTalk Comment 5/24/2008: This battle has only started. If one examines the secrets that have permeated the cabal currently in control of the White House one can list thousands of secrets that are in fact crimes, and tens of thousands of people in the know about these crimes to one degree or another. As long as the White House, and thus the Judiciary and Justice Department, could remain under the control of the cabal, then these secrets were considered safe. Leaks are punished, and denied, with the truth hidden behind stonewalling and by locking historical information up for decades into the future. Panic is at the helm these days, with many who felt their day in court would never arrive now fearing being prosecuted. Witnesses are especially vulnerable. Their only hope is to reveal what they know quickly, as then they as a person are no longer considered a threat - the truth is already out there, etc. This drama is only getting started, and will prove to be very entertaining as the future unfolds! Nature turned against one of America's early civilizations 3,600 years ago, when researchers say earthquakes and floods, followed by blowing sand, drove away residents of an area that is now in Peru. 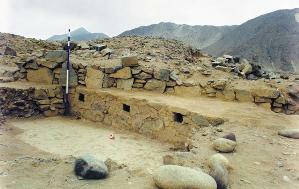 Moseley and colleagues were studying civilization of the Supe Valley along the Peruvian coast, which was established up to 5,800 years ago. The people thrived on land adjacent to productive bays and estuaries, the researchers report in Proceedings of the National Academy of Sciences. The Supe fished with nets, irrigated fruit orchards and grew cotton and a variety of vegetables. They also built stone pyramids thousands of years before the better known Mayans. But the Supe disappeared about 3,600 years ago. A massive earthquake, or series of quakes, struck the seismically active region, collapsing walls and floors and launching landslides from barren mountain ranges surrounding the valley. In addition, layers of silt indicate massive flooding followed. Then came El Nino, a periodic change in the winds and currents in the Pacific Ocean, which brought heavy rains that damaged irrigation systems and washed debris into the streams and down to the ocean, where the sand and silt settled into a large ridge, sealing off the previously rich coastal bays. In the end, land where the Supe had lived for centuries became uninhabitable and their society collapsed. This is only the latest in scientific and geological evidence of a pole shift 3,600 years ago, during the time of the Jewish Exodus. Emanuel Velikovsky's studies on what is written in the geology of the Earth likewise found that a great cataclysm occurred approximately 3,600 years ago. In his book Earth in Upheaval, he documented many of these scientific findings. Among them were changes in rivers and lakes of the N American continent. R.A. Daly observed that in a great many places all around the world there is a uniform emergence of the shore line of 18 to 20 feet. In the southwest Pacific, on the islands belonging to the Samoan group but spread over two hundred miles, the same emergence is evident. Nearly halfway around the world, at St. Helena in the South Atlantic, the lava is punctuated by dry sea caves, the floors of which are covered with water-worn pebbles, now dusty because untouched by the surf. The emergence there is also 20 feet. At the Cape of Good Hope caves and beaches also prove recent and sensibly uniform emergence to the extent of about 20 feet. Marine terraces, indicating similar emergence, are found along the Atlantic coast from New York to the Gulf of Mexico; for at least 1,000 miles along the coast of eastern Australia; along the coasts of Brazil, southwest Africa, and many islands in the Pacific, Atlantic, and Indian Oceans. The emergence is recent as well as of the same order of magnitude. Judging from the condition of beaches, terraces, and caves, the emergence seems to have been simultaneous on every shore. In Daly's opinion the cause lies in the sinking of the level of all seas on the globe. 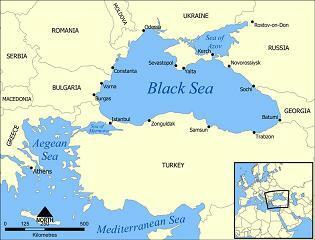 Alternatively, Daly thinks it could have resulted from a deepening of the oceans or from an increase in their areas. Of special interest is the time of the change. Daly estimated the sudden drop of oceanic level to have occurred some 3,000 to 4,000 years ago. Australian scientists say they have discovered evidence of rapid change in world sea levels and of a dramatic fall in geologically recent times - directly challenging current conventional wisdom. Dr Robert Baker of the University of New England, in the New South Wales country town of Armidale, has tapped the secrets of worm coatings on once-submerged rocks to shake established theory that sea levels are presently as high as they have ever been. Baker argues that sea levels have not been steady since the last ice age, as is commonly believed. Baker and his colleagues at New England University say the sea level may have fallen quickly 3,500 years ago, by as much as a meter in just 10-50 years. ZetaTalk Velikovsky 8/15/1995: Immanuel Velikovsky was a genius on par with Einstein, which is a fact seldom mentioned by his detractors. Both he and Einstein were Star Children, and indeed were friends who engaged in the type of friendly argument only two geniuses could engage in. Velikovsky's Mission was to set mankind to thinking about the periodic cataclysms that have so dramatically left their Mark on the Earth and human history. Like Einstein, he was berated for presenting what most of mankind does not want to think about - bad news. Mountains obviously thrown skyward under extreme pressure, the Ruins of great civilizations with no reason for demise, flash frozen carcasses of healthy Mastodons with no evident cause of death - all this is put over the wall and not dealt with. Research into uncharted territory seldom results in solid conclusions all around. Theories based on theories don't have a solid base. That any of the theories prove out, under these circumstances, is a wonder. Thus, some of Velikovsky's theories as to the cause of the Earth's cosmic near-collisions are unfounded. Where the planet Venus was sent into an irregular orbit after one recent pole shift, the upheavals on Earth were caused only by the passage of the 12th Planet - the major ingredient in the brew. Unlike Einstein's theories of relativity, Velikovsky's theories cannot be effectively proved until the Red Star, the 12th Planet, returns to savage this Solar System again. Unfortunately for those unwilling to listen to Velikovsky or contemplate the evidence he so poetically presents, they will be learning the truth of his theories - too late! The rains stopped coming, the temperature rose and the great grasslands of North Africa turned to desert a few thousand years ago - changes that may have helped spur development of civilization in the Nile Valley. The change to today's arid climate was not gradual - 4,000 to 3,600 years ago, according to a paper published today by the journal Geophysical Research Letters. A team of researchers headed by Martin Claussen of Germany's Potsdam Institute for Climate Impact Research analyzed computer models of climate over the past several thousand years. They concluded that the change to today's desert climate in the Sahara was triggered by changes in the Earth's orbit and the tilt of Earth's axis. Per the Zetas, the Mediterranean Sea was a swamp in the past, not flooded with sea water, a fact which allowed early man to migrate from Africa to Europe. As the Mediterranean ripped during pole shifts, it sank, and the evidence of sloshing sea water stands as evidence of the timing of one of those slosh points - two pole shifts back or approximately 7,200 years ago. And in 1628 BC, as best as man can estimate, a gigantic explosion on the island of Santorini occurred - a VEI 6. This was the volcanic explosion that caused Moses to wander in the Valley of the Shadow of Death during the Jewish Exodus at that time. The volcanic gloom that occurred approximately 3,600 years ago affected tree growth in northern Europe. Per the Zetas, there can be no doubt that the Jewish Exodus occurred during a pole shift. ZetaTalk Jewish Exodus 11/15/1996: Slaves do not just walk away from their masters, and in particular a large group of slaves, old women and children among them, do not get miles away from their masters in a desert area where lookouts can see for miles. Thus, the Jewish exodus did not occur because this large group just decided to take a stroll one day, anticipating nothing worse than a whipping as the comeuppance should they be discovered. The exodus occurred because their masters were devastated and distracted by problems so severe as to take their minds entirely off their slaves. They left because the passage of Planet X imposed first a long night and then horrendous earthquakes and volcanic eruptions in nearby volcanoes. Chaos reigned, the very type of chaos that governments throughout the world fear lies in their near future. Guards left their posts, and household servants stole from their masters and crept away in the seemingly never-ending night. The rulers held their heads in worry and discussed among themselves how they might placate the gods. The military elite, used to utter control and tolerating no challenges to their orders, react to chaos by trying to re-establish order. Hysterical troops, unable to comprehend what was happening to them, were in no mood to placate their superiors, and thus the military was engaged with internal battles for some time. It was not until the rotation of the Earth was re-established that the Egyptian rulers and their military leaders were able to regain control of the troops. By that time, as history well tells, the Jewish exodus was a success! ZetaTalk Mastodons 7/15/2001: The Mastodon is a species that went extinct during the past few pole shifts, primarily when the grasslands they browsed in Siberia were drawn rapidly into the new polar circle. But where drawn into water and drown, and then far enough north, the Mastodons were flash frozen. If the Mastodons were not flash frozen, they would be in some sort of state of decay - perhaps the skin preserved, but the internal organs a mush. This is not the case, as your recent documentaries on the frozen state of these preserved beasts shows! So if flash frozen, and frozen steadily since that date, then how did the Mastodons get green grass and buttercups in their stomachs? A fast trot to the Arctic Circle? Does anyone presume they ate snow? These were herbivors! Their grasslands were moved during poles shifts. 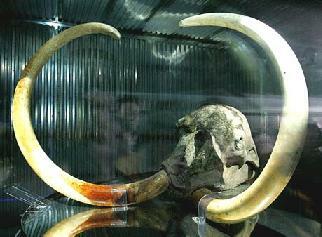 The remains of Mastodons that were not far enough into the polar circle to be completely frozen are bones and the ivory that has been harvested from the Ivory Islands for centuries. The bodies rotted, the Ivory did not. A wealth of ivory, with no flesh to disturb those shipping the tusks off to become piano keys. The permafrost only goes so deep, and just as in temperate areas, frost goes only so many inches of at most feet deep. There is soil, and mud, and decaying matter where decay proceeded with or without oxygen, just as it does in your gut where methane gas is generated daily.